Not so long ago we timed our lives by the movement of the sun. These days our time arrives atomically and insistently, and our lives are propelled by the notion that we will never have enough of the one thing we crave the most. How have we come to be dominated by something so arbitrary? 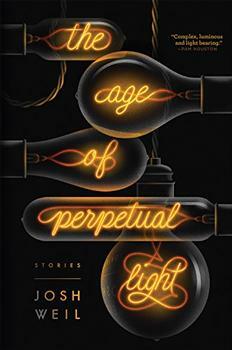 The compelling stories in this book explore our obsessions with time. An Englishman arrives back from Calcutta but refuses to adjust his watch. Beethoven has his symphonic wishes ignored. A moment of war is frozen forever. The timetable arrives by steam train. A woman designs a ten-hour clock and reinvents the calendar. Roger Bannister becomes stuck in the same four minutes forever. A British watchmaker competes with mighty Switzerland. And a prince attempts to stop time in its tracks. Timekeepers is a vivid exploration of the ways we have perceived, contained and saved time over the last 250 years, narrated in the highly inventive and entertaining style that bestselling author Simon Garfield is fast making his own. Do you plan on being alive for the next two-and-a-half years? If the answer is Yes, you may begin building Mallard. This magnificent British steam locomotive, streamlined and Garter Blue, is available for construction each week from your newsagent, and if you keep the faith for 130 weeks, and buy all the bits required and assemble them, you will end up with a 500mm-length engine and tender (almost 20 inches), weighing about 2 kilos. This lively tour through the "practical rather than ethereal applications of time" is full of many amazing delights...Garfield inspires a new way of looking at time with Timekeepers; a deeper, more curious look, and in that way he helps us make our worldviews wider. (Reviewed by Rory L. Aronsky). Garfield's anecdotal, science-friendly book explores the tyranny of time and our desire to control it. An eclectic collection of explorations of our relationships with time ... Very readable. Time well spent ... Simon Garfield has made his name as an author who can spin fascinating narratives out of subjects that seem, on the face of it, narrow to the point of being dull. Entertaining... jaunty... Scholarly but jokey, with a magpie's appetite for glittering trivia, Garfield is as eager to amuse as to inform, and achieves both. In this book, brilliant cultural historian Simon Garfield assembles a host of intriguing characters who have tried to bend time to their own rules, and questions how we came to be ruled by something so arbitrary. Delightful ... Gloriously funny ... Garfield has an astonishing capacity for meticulous research and a wonderful ability to select the best stories to entertain us. Thoroughly enjoyable and illuminating ... Stuffed with fascinating material. A sort of museum between hard covers. Timekeepers is as good as pop history gets. Digressive, gossipy, thoughtful and thoroughly entertaining ... Simon Garfield is an exuberant truffle-hound of the recondite and delightful factoid. here could be no better guide than Simon Garfield for this journey into time and its meaning for our lives. From the assembly line to the French Revolution, he covers the quirks of the clock with insight and wry enthusiasm. A riveting, educational read. 1. The Oxford English Dictionary keeps a list of frequently used nouns. The word life comes in at #9, year at #3, month is all the way down at #40. Time comes in at #1. 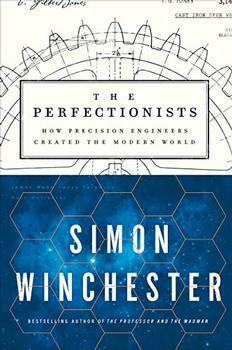 The revered New York Times bestselling author traces the development of technology from the Industrial Age to the Digital Age to explore the single component crucial to advancement - precision - in a superb history that is both an homage and a warning for our future.